In another industry first, DJI has partnered with Swiss aerial technology company Flyability to integrate the Lightbridge 2, an ultra-reliable image transmission system, with the collision-tolerant Elios aircraft. Elios is the first UAV designed for inspection and exploration of inaccessible or confined spaces. With a robust enclosure giving the system the ability to withstand impact, the Elios leverages Lightbridge 2 technology to reliably navigate complex structures and metallic environments. 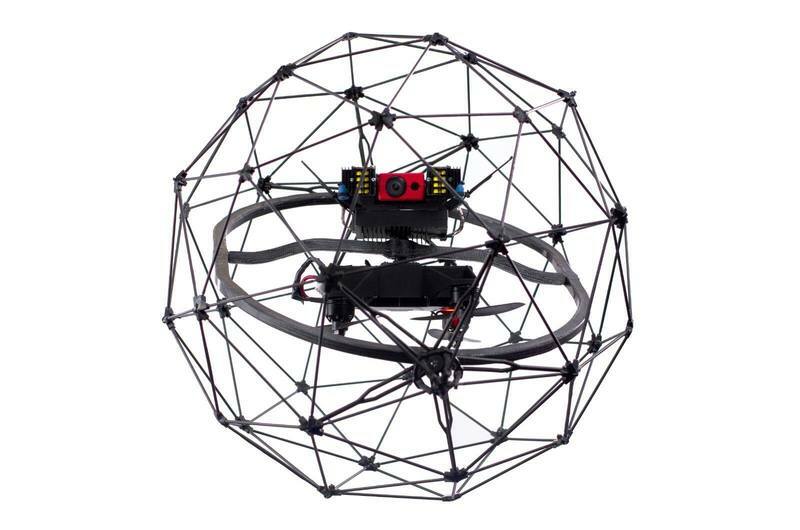 Thanks to its freely rotating spherical protective frame and flight control algorithms, the Elios can enter and make its way through intricate structures such as power plant boilers -- tall structures that can be up to 300 ft. (~100m) in height with multiple pipes, without risking damage to the aircraft or structure. Traditionally, these dark and narrow structures would be inspected manually with surveyors rappelling down or by climbing on scaffolding, putting them at risk for injury and causing high costs due to downtime. Elios used to inspect an otherwise inaccessible space. Critical to the Elios' functionality is reliable video and data transmission even in environments where steel and concrete structures obscure sight and may interfere with transmission and positioning systems. After thorough testing of available systems in like conditions, Flyability chose DJI's Lightbridge 2 digital transmission system. By leveraging DJI's groundbreaking technology, new advances, including exploration of glacier crevasses and inspection of nuclear power plants, are made possible. While flying the Elios, pilots get a live-view delivered to their paired mobile device through Lightbridge as they fly, and captured footage can be analyzed through a range of powerful tools to build a complete understanding of the conditions of each inspected facility. Similarly, companies in the Oil & Gas and Maritime industries have until now been reliant on sending inspectors into confined spaces such as tanks, ballasts or pressure vessels. By instead leveraging UAV technology, the risk to human life is minimized and so are the economic costs of inspection.